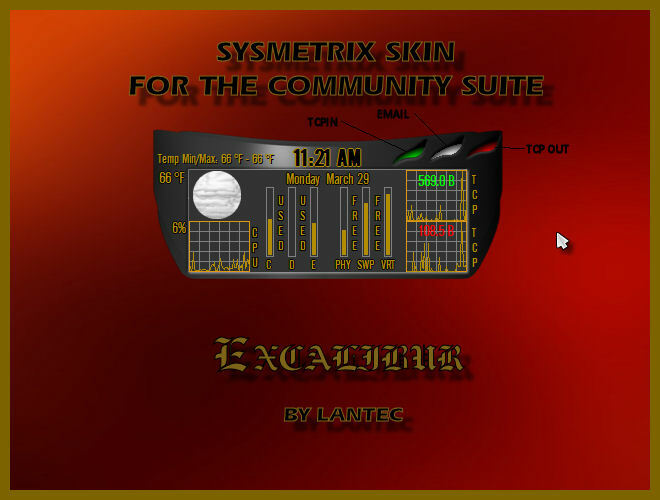 A Sysmetrix skin to go along with AvMan's Community Suite Excalibur. Make sure Sysmetrix is set to install theme fonts and you can find the permission in the theme folder after installation. Let me know if you have any problems or questions. Great job sir! !� �Thank you so much! !